← CONGRATULATIONS TO EVERYTHING GHOST HUNTING! Toni Logan is a writer based in northern Westchester County, New York. 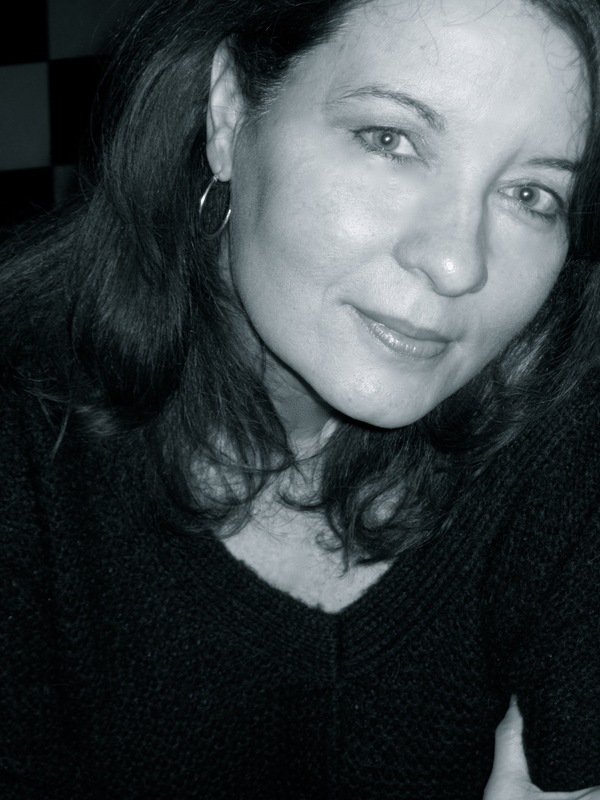 Her work has appeared in newspapers and magazines including the San Francisco Chronicle, the Oakland Tribune, Forbes ASAP, Business 2.0 and Wired. Writer Toni Logan. Photo by Maureen McFarlane. After five years of not writing, I was at wit’s end. My long career in California as a technology and business journalist had ended in 2005 (for a variety of valid but depressing reasons) and now I was living with my husband in a rural outpost of Westchester County, New York. We had a lovely home and good life: freelance editing work, loving family and friends, lively participation in the community, a nearby train station and hourly trains to Grand Central Terminal. City girl at heart, I took advantage of these one-hour rides to New York City for intellectual and cultural stimulation whenever possible. Still, I was unhappy and felt vaguely lost. I had an idea for a book I’d long wanted to write but couldn’t seem to wrestle pen to paper. The will to shift gears as a writer just wasn’t there. One hot July day in 2009 while out on a country-road stroll, I suddenly thought of an old acquaintance I hadn’t pondered – literally – in eighteen years. Jake was a friend I’d known in San Francisco during my time as a single student. He was an architect, artist, and musician then – a creative powerhouse with the drive and ambition of three average humans. As I walked quietly along the road, a voice in my head said very clearly: “Google him.” The force of it blew me off the blacktop. This seemed a strange harbinger, a major disconnect from everything else happening in life. Still, I obeyed. The Google search revealed a music web site that sold CDs recorded by Jake’s former rock band. There was a contact link on the site. I shot a two-sentence note to him. He replied. We exchanged email addresses and began a chatty catching-up period that launched a renewed friendship. Jake became my unexpected and very effective creativity coach. This contact, delivered via intuition, changed the course of my writing life. In addition to architecture, art and music, Jake had written two or three books since I’d seen him – one of which was published. He sent me one of his unpublished manuscripts to read. It inspired me to start writing my own book in a new genre. I quickly cranked out four chapters of the book I’d been trying to begin for five years. The crushing case of writer’s block mysteriously dissolved. It’s not that my husband, friends and former colleagues hadn’t TRIED to get me writing again. They had told me many times, “You should write books! You are a natural author!” For some reason I just couldn’t do it until Jake appeared on my cyberspace radar. It’s a mystery, I’m grateful, and I don’t try to figure it out. One day last fall Jake sent me a note about a fundraising dinner in Manhattan to benefit the Norman Mailer Writers Colony in Provincetown, Mass. I replied: “Sounds wonderful! Wish I could afford to attend and schmooze with A-list authors and editors.” He shot back: “Toni, I think you should apply for a writing residency at the Mailer Colony.” That had not even occurred to me. Sure, I knew writers colonies exist but hadn’t heard of this one (it was fairly new). Also, I didn’t consider colonies an option for someone like me. Nevertheless, I applied, was accepted for April 2010, and spent one glorious month writing and meeting other writers in Provincetown at the Norman Mailer Colony. This summer, I’m going back there for a week-long workshop titled “Historical Narrative” with six other lucky writers who made the cut. The first draft of my book will be finished by early fall. Treading this new literary path feels so right. My soul has renewed purpose; the universe feels like home. When you get a strong message or hunch like mine on that July day, don’t ignore it. That’s your intuition showing you the correct path. Nurture it. Stay open to both new and renewed friendships. And, of course, just write. You’ve got nothing to lose. 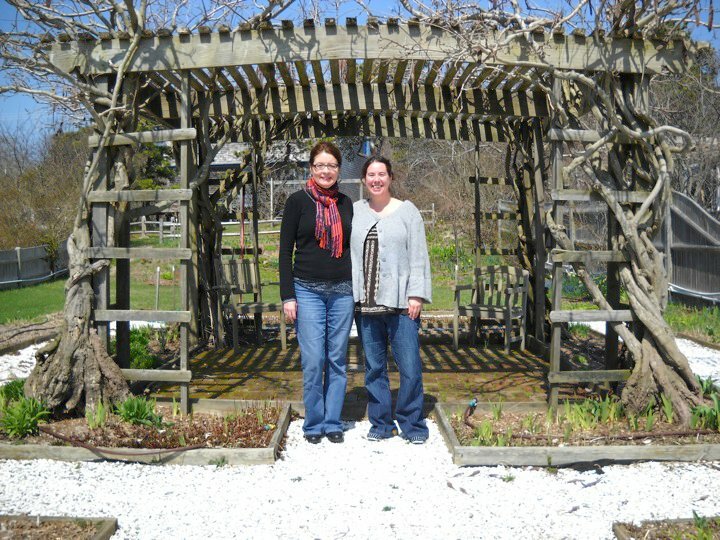 Me, at right, and Toni Logan in a garden at Provincetown’s East End, April, 2010. We met at the Norman Mailer Writer’s Colony only to find we don’t live too far from each other, so we get together frequently. It’s proven to be a constant source of inspiration. 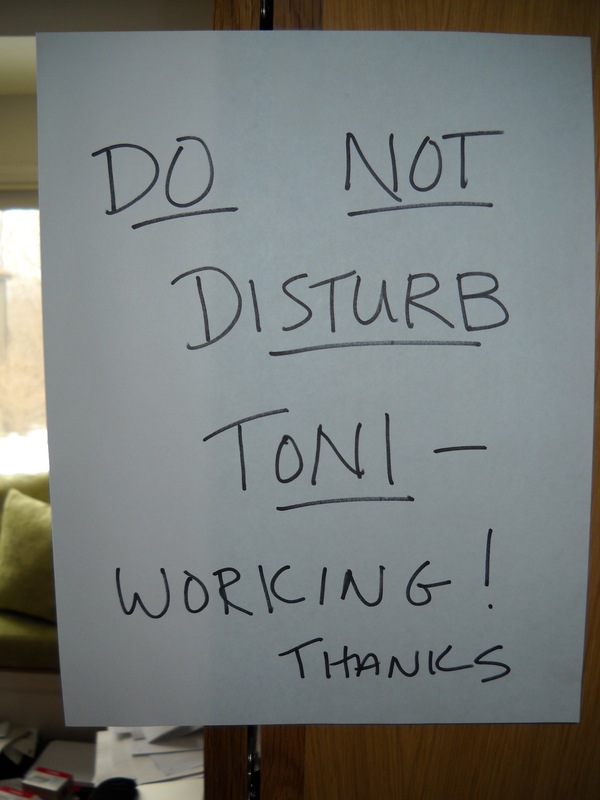 Posted on June 23, 2010, in Deep Thoughts & Fun Stuff and tagged Inspiration, Intuition, Muse, Norman Mailer Writer's Colony, Provincetown, Short Stories, Toni Logan, Writing. Bookmark the permalink. Leave a comment.